The weekly Thursday evening happy hour event at my husband's work is occasionally a themed thing and this week it was a homebrew showcase. 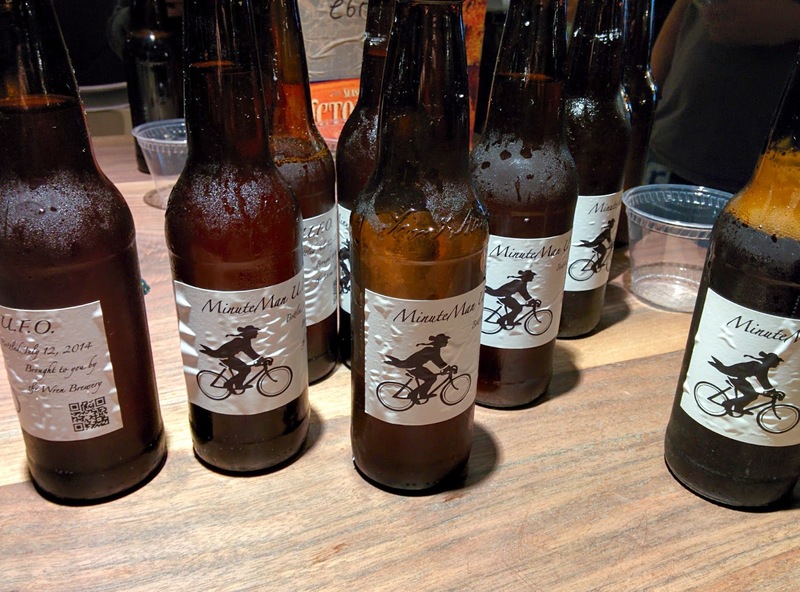 We chose to name our beer "Minuteman UFO" as it was, technically, unfiltered, and the hops came from the Minuteman Bikeway. Hence the logo. It was well received. He said about 5-6 people brought in homebrew but there were certainly more that 5-6 people at the happy hour. All 24 bottles were consumed pretty quickly which was good because there was no way to get it home. We still have a few large bottles left for ourselves, but it looks like it'll be time to start another batch soon.